Irish writer John Banville discusses his novel The Sea, which won the Man Booker prize in 2005. James Naughtie presents, and a group of readers join in the conversation. With James Naughtie. Celebrated Irish writer John Banville discusses his novel The Sea which won the Man Booker prize in 2005. In The Sea, middle-aged art historian Max Morden loses his wife to cancer and is compelled to go back to the seaside resort where he spent childhood holidays. It is also a return to the place where he met the Graces, the well-heeled family with whom he experienced the strange suddenness of both love and death for the first time. John Banville talks about the power of revisiting places from childhood, how he wanted to be a painter as a teenager but found he had no talent. He explains how he painstakingly writes his novels over many years, creating sentence after sentence, but in the end he always feels the book is an embarrassment and a failure, and that he must move on to the next novel. May's Bookclub choice is The Slap by Christos Tsiolkas. "Every man is an artist when he sleeps." John Banville quotes Nietzsche to describes writing fiction. 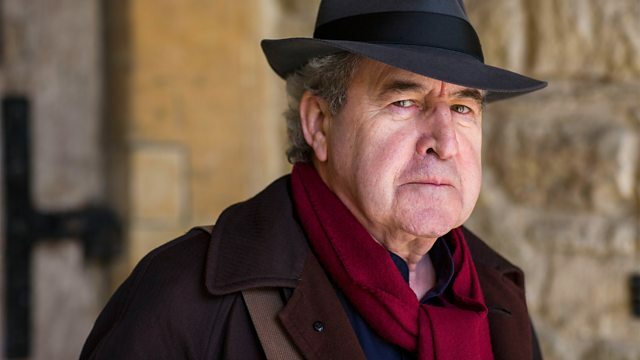 Read more from John Banville about his writing on the Radio 4 blog.